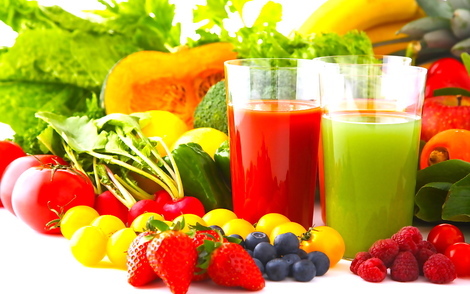 Nowadays, “juicing” has become the trend among the fitness-focused population. Juicing is a convenient way of infusing one’s diet with much-needed vitamins and minerals from fruits and vegetables. It is also a great way of detoxifying the body, preventing disease and losing weight. Plus you can brag about your juicing, which makes you look cool and trendy. However, is juicing every day, okay? According to the recent Food Consumption Survey of the Food and Nutrition Research Institute of the Department of Science and Technology (FNRI-DOST), there was a decrease in the consumption of fruits from 104 grams per day in 1978 to 54 grams per day in 2008. While vegetable consumption of 145 grams per day in 1978 decreased to 110 grams per day 2008. Filipino households seem to overlook the importance of fruits and vegetables in their diet. Fruits and vegetables are the most significant source of essential vitamins and minerals. Fruits and vegetables also provide additional health benefits such as fiber and phytochemicals known to lower the risk of heart disease, cancer and micronutrient deficiencies. Nutrition experts recommend that an average adult should to consume at least three servings of vegetables and two servings of fruits daily. A serving of vegetables is equivalent to one-half cup or 40 grams (g) of non-leafy and one cup or 25 g of leafy vegetables. One serving of fruit ranges from 45 to 300 g, and is equivalent to one medium-sized or one slice of a big fruit. Despite numerous health promotion campaigns to increase consumption of fruits and vegetables, reasons like “takes too long to prepare,” “fruits and vegetables are seasonal,” ”they spoil quickly,” and “don’t really like eating fruits and vegetables” are still given by many people. Thus, juicing provides an easier option to consume the daily recommended amounts for fruits and vegetables. Juicing is an easy way of preparing and consuming fruits and vegetables. It is a practical way of using about-to-spoil produce, which helps reduce food wastage. Also the water content in fruits and vegetables can help you stay hydrated. However, having an all-juice diet is not a good idea because you need to have a well-balanced and healthy diet containing protein, carbohydrates and fats. Also, some foods don’t juice properly, like meat and bread. In addition, juicing destroys fiber in fruits and vegetables. Fiber helps in regulating blood sugar levels, gastrointestinal regulation, lowering cholesterol level and providing satiety value. Juicing may help one lose weight in the short term, but can seriously harm the body if left unchecked. So, the bottom line is, juicing in moderation can help you consume essential nutrients, but sole intake of juices is not advisable as a replacement to a regular healthy balance diet.